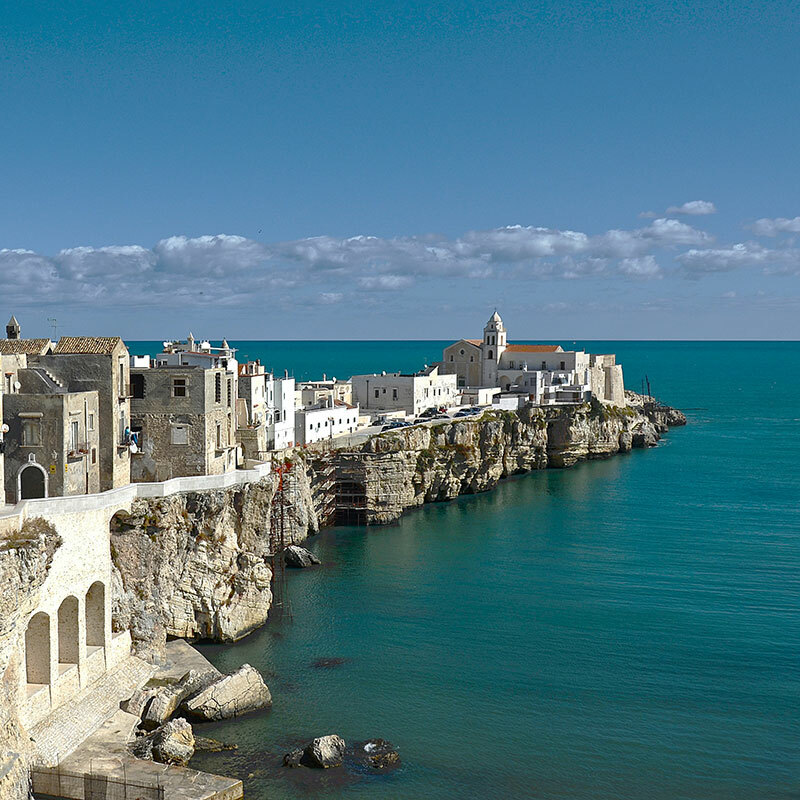 Puglia, also known as Apulia, is the most southeastern region, occupying the 'heel' of the 'boot' of Italy. 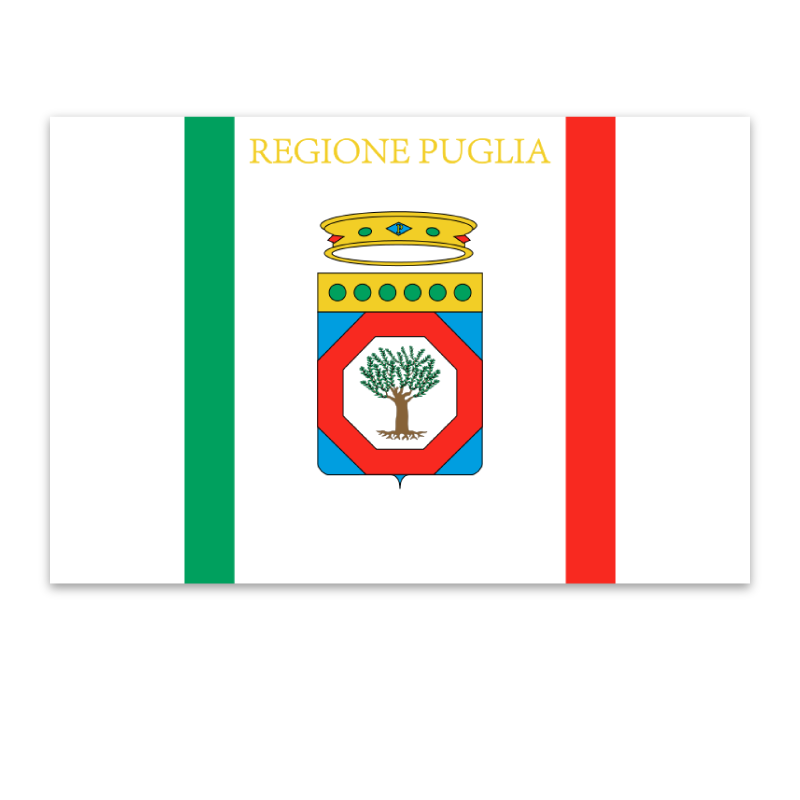 Puglia has an area of 19,366 square kilometres and a population of 4 million. 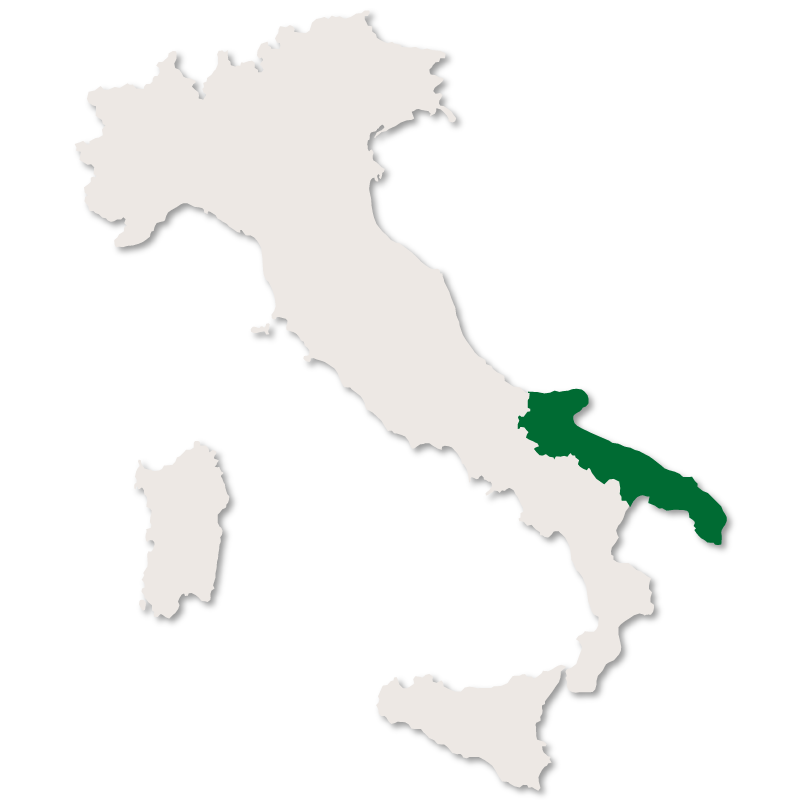 It borders the Italian regions of Molise to the north, Campania to the west, and Basilicata to the southwest. Across the Ionian Sea to the east lies Greece and across the Adriatic lies Albania. 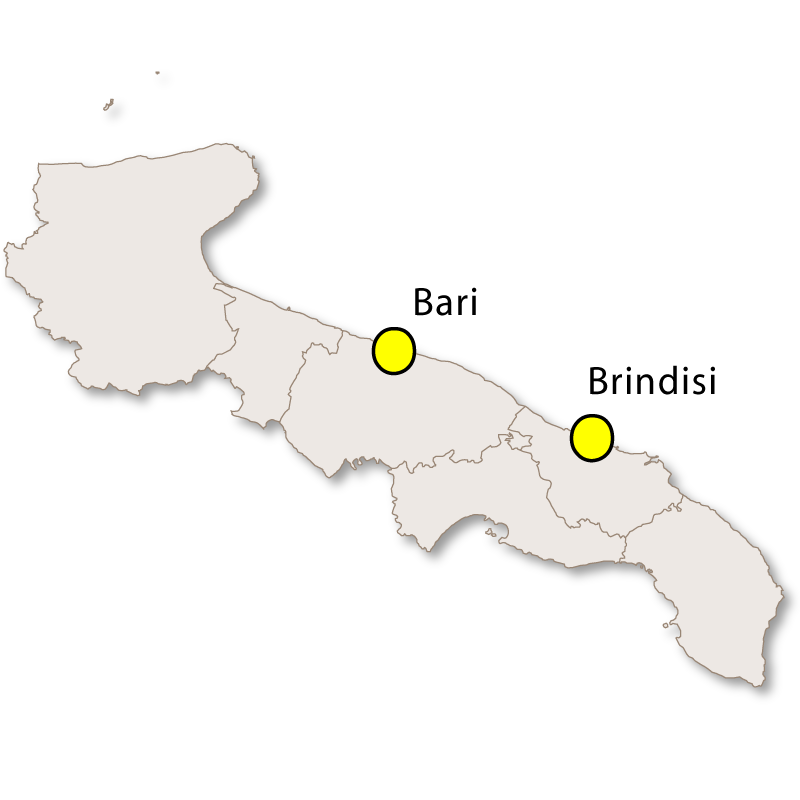 The capital city of the region is Bari and the provinces are: Bari, Barletta-Andria-Trani, Brindisi, Foggia, Lecce and Taranto. Puglia is the least mountainous region of Italy, consisting of broad plains and low-lying hills. The only mountainous areas, the Gargano promontory and the Dauni mountains, do not exceed 1,150 metres and are in the north of the region. The Tremeti Islands, in the Adriatic, are also a part of Puglia. Puglia is a very hot and dry region. There are a few rivers found on the 'Tavoliere delle Puglie'at the foot of the Gargano promontory. 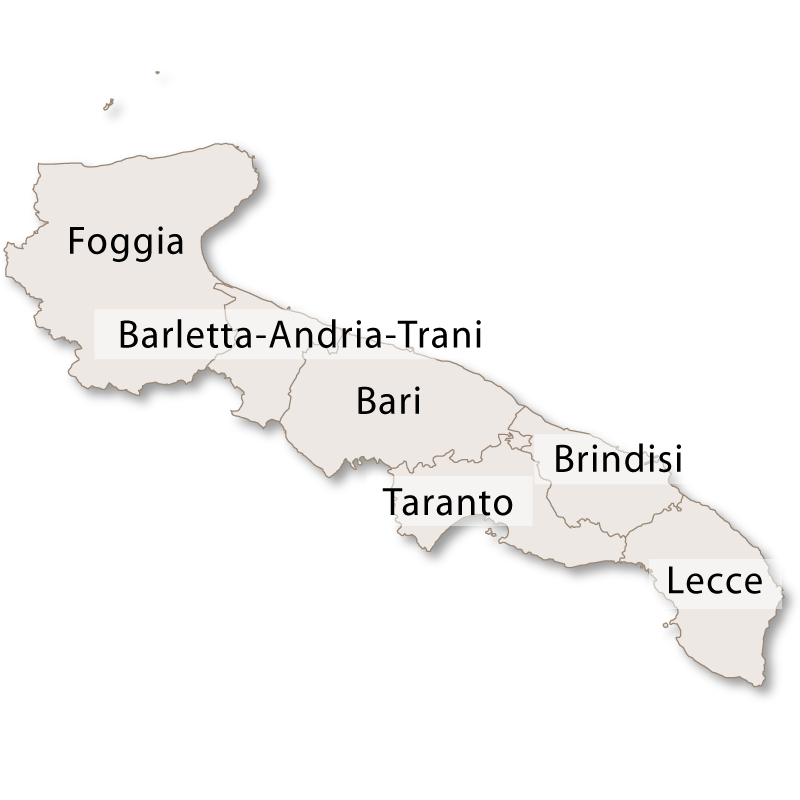 This area is one of the largest and most productive plains in Italy where a significant amount of both wine and olive oil is produced. The baroque town of Lecce, in the Salento area of Puglia, is a favourite destination for visitors. 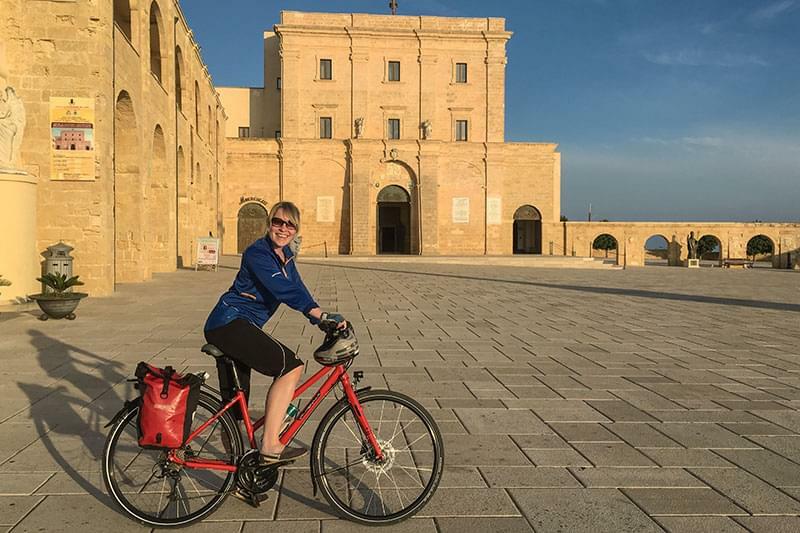 Nicknamed 'The Florence of the South', the town is full of impressive, baroque monuments and has been built from the distinctive, 'Lecce Stone' which are the city's main export. Another attraction of the region are the unique 'Trulli' houses. These strange, white conical houses were traditionally built without using mortar in order to avoid paying taxes. They can vary is size from a single roomed store, to a complete house formed with multiple conical rooves. These days they are much sought after as holiday homes. Alberobello is a town made up entirely of Trulli houses. The site of hundreds of whitewashed, circular houses with conical rooves, all huddled together is extraordinary and it is certainly worth a visit. Puglia's location, between two beautiful coastlines, makes it a tourist's paradise. There are miles and miles of unspoilt beaches, spectacular cliffs and rocky coves. 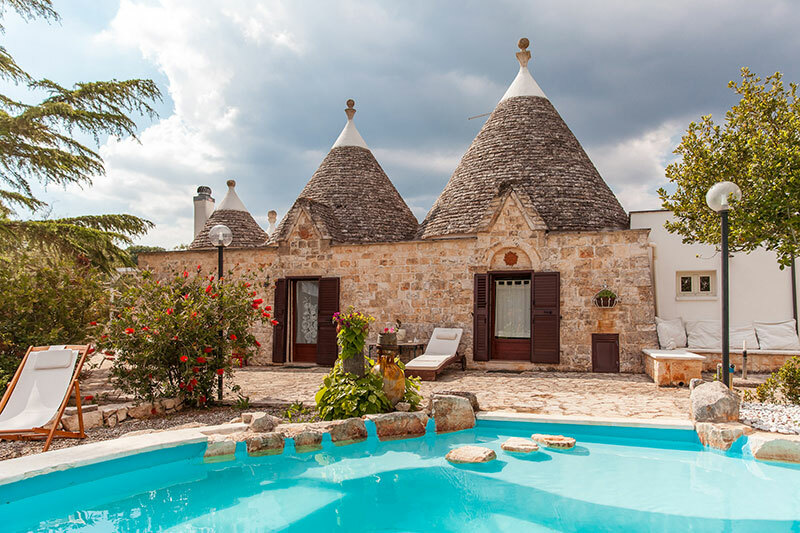 This, together with superb weather, beautiful towns and lovely countryside make Puglia a very popular holiday destination.